If you are free on Friday and fancy a drink and to be informed about Brexit then come along to the Bavarian Beer Garden Get-Together. Look for the European and British Flags to find us! On Wednesday 16 May, we were delighted to be able to host the first ever British in Germany event in Leipzig. The event was attended by Mr. Tim Jones, head of the Economic, Finance and Trade Team at the British Embassy, and featured a talk from Daniel Tetlow, co-founder of BiG. David Smith, Head of the Leipzig International School, very kindly agreed to moderate the evening. There were roughly 60 attendees which, on the basis of latest German statistics, means that 10 per cent of registered Brits in Leipzig turned up. Particular thanks go to Emma Corris and Raj Dahya for their sterling recruitment work over the last week. It was impressive to see the wide range of people–not just Brits–who came to ask questions and to show their support, from Italian teachers to business people and German immigration lawyers. The evening began with a speech from Mr. Tim Jones with the central message that you will be ‘largely protected under the Withdrawal Agreement’. The issue, of course, is what exactly is the definition of ‘largely protected’. Tetlow said quite simply that this was not the case, and that this illustrated the work that still needs to be done by citizens’ rights groups like British in Germany and British in Europe. When Tetlow went on to describe the impact of the present draft Withdrawal Agreement, it elicited looks of shock and horror from many of the audience. Though it is encouraging for BiG to see that we can provide some clarity on just what exactly is and is not ‘protected under the withdrawal agreement’, we were struck by the countless examples of the impact that curtailing free movement will have on so many residing in Germany. Free movement became the predominant topic of the discussion, and it soon became evident that ensuring rights only in the host country will not be sufficient for many individuals’ livelihoods. There were testimonies from musicians and stagehands who travel across many EU27 states for work who are unlikely to qualify as frontier workers; there were those who have been in Germany for less than 5 years with family across the world who fear that they cannot leave Germany to visit their relatives; and then there were those who fear for the security and educational rights of their children. 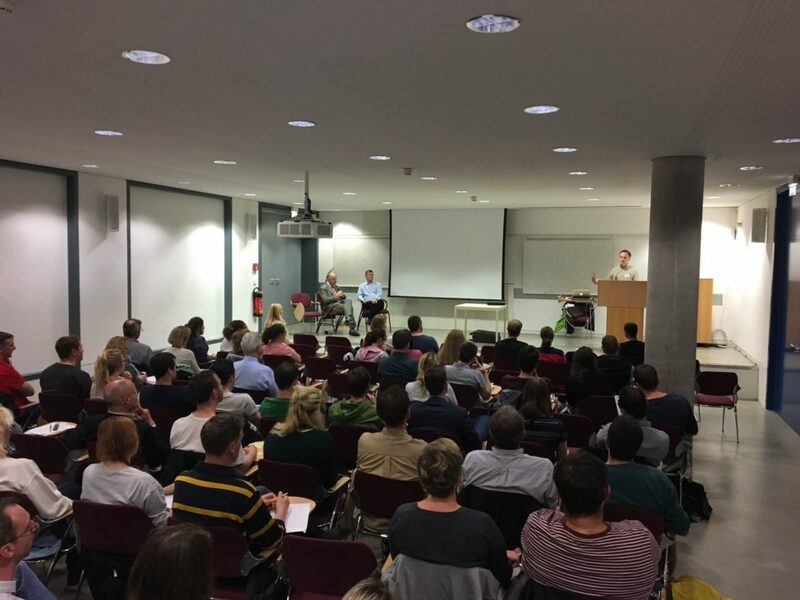 Leipzig was a success in terms of BiG’s goal to inform more Britons about their changing rights, and hopefully to motivate a BiG Leipzig group. Our thanks go to David Smith for his excellent moderation of the event, and Emma Corris and Raj Dahya for their invaluable help in recruiting for and organising the logistics of the evening. Next up, Dresden: watch this space! An article was posted on The Leipzig Glocal – Leipzig’s insider Blog and Webzine in English. before the event took place. It is still an interesting read and can be found on the website here. 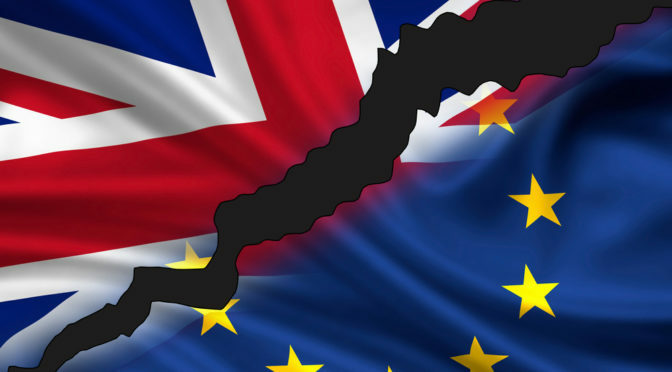 British citizens resident in European Union countries will be seriously affected by Brexit. Those working in research – whether at universities, public or private research institutes – are particularly vulnerable given the high degree of professional mobility that is widely viewed as essential for a successful career. 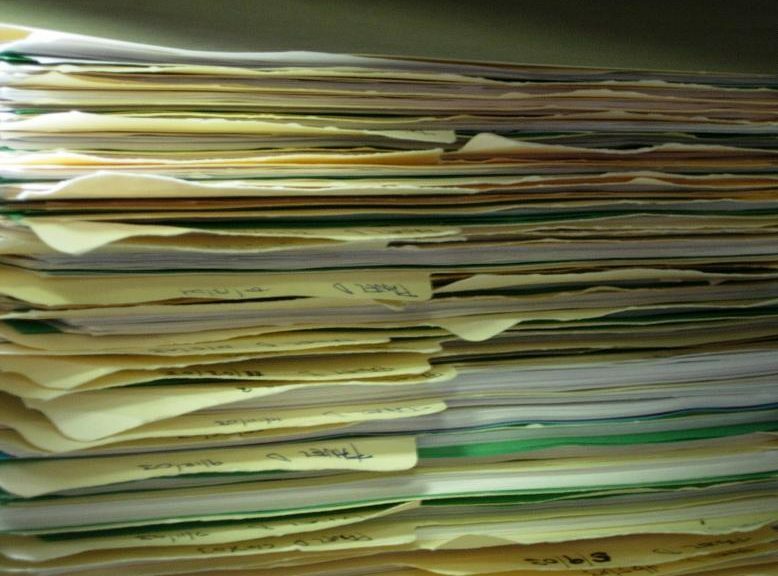 Reputations in academia are increasingly dependent on international visibility and collaboration of the individual scholar. The European Union has, over recent decades, created a huge variety of instruments to promote careers in research and teaching for its citizens that cover all stages, from the early career student to the acclaimed professor. These range from ERASMUS grants for student exchanges to EU research framework programmes (currently Horizon 2020) and the prestigious European Research Council grants. British academics, working in the UK and in other EU countries, have been highly successful in acquiring this European funding in the past. Many, indeed, have built their careers around EU-funded programmes and the collaborative research projects they have enabled. It is essential to them and to future generations of British academics that this principal gateway to an international career is not closed or restricted. As the future relationship between the UK and EU27 is negotiated over the coming months, securing these benefits of research collaboration for the post-Brexit era will be critical for British academics and the UK research community in general. Beyond specific research and training opportunities, British academics are part of a mobile community who greatly benefit from free movement within the EU. It is essential, therefore, that the UK and EU reach an understanding that maintains the rights that UK citizens in the EU currently enjoy to avoid professional and family disruptions. Although some progress has been made on citizens’ rights, as is documented in the Joint Report of 8 December 2017, there are still several serious concerns that remain unresolved. Moreover, the December 2017 joint understanding will only become valid as part of an overall agreement on Brexit. British in Europe (BiE) is a coalition of organisations throughout the EU who are campaigning in Brussels and London on behalf of British citizens. In Germany, British in Germany (BiG) is active on behalf of British citizens, both in lobbying at local and national levels and in forming local groups disseminating information on the state of negotiations and on issues such as German citizenship applications. 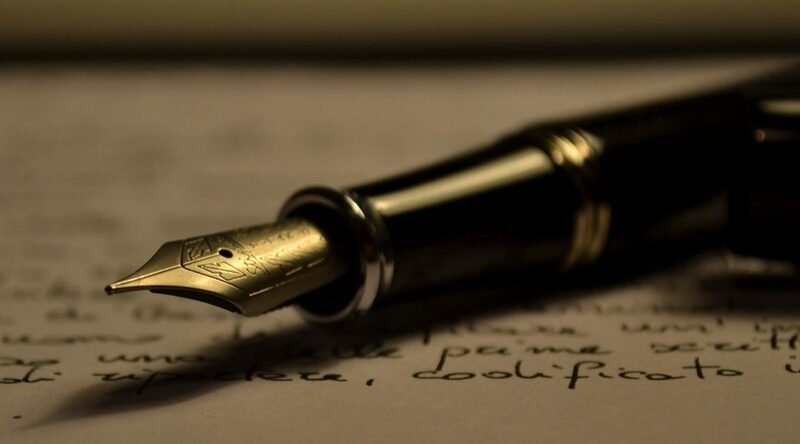 BiG has commented on negotiating rounds relating to citizens’ rights [link] and compiled a detailed response to the Joint Report of December [link]. It has become clear that the implications of Brexit for individuals in terms of freedom of movement and cross-border working depend very much on the time of residence and on employment and family status. A selection of case studies illustrating the complexity of these issues is available here. British in Germany is interested in reaching as many British citizens as possible to be able to inform you of progress on the issues surrounding citizens’ rights. If you are interested in receiving information on British in Germany activities and on local meetings, please contact with us here. We are interested in hearing your stories, concerns and views so that our approach can evolve appropriately as the negotiations continue. Your information will be passed on to the most relevant British in Germany group representing your interests. In particular, if you are a British citizen working in a university or other research organisation in Germany, we would very much welcome your opinion on the concerns you have and the assistance you would appreciate relating specifically to the research profession. This survey, for British in Europe and its member groups, is designed to help us find out more about our members’ experiences of registering residence as a British citizen when first arriving to live in Germany, and also applying for a permanent residence card after 5 years. We’re carrying out similar surveys amongst our members across the EU. Why are we asking you these questions? The EU 27 countries will shortly be considering how to ‘register’ UK citizens living in the EU after 31 December 2020: to continue the current declaratory system, or to introduce a new constitutive system where we would be required to apply for a new status, in keeping with the UK’s wish to oblige EU27 citizens to apply for ‘settled status’ rather than simply confirm their existing rights. We’d like to know your views and experiences to help our input into the process. The survey is open until Wednesday, 9 May. 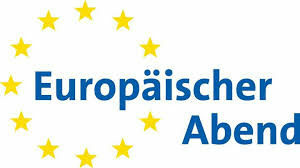 On Monday 23rd April several members of British in Germany attended the 28th Europäischen Abend hosted by the Europa-Union Deutschland e.V. 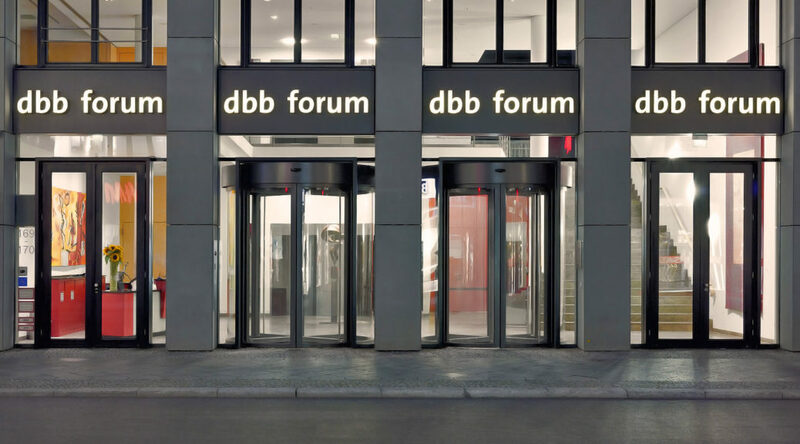 in cooperation with the Deutsch-Britischen Gesellschaft at the dbb Forum on Friedrichstr. in Berlin. Where is Great Britain heading? What will we do without the British? Before the first discussion the moderator, Tanja Samrotzki noted, to a warm welcome, the birth of William and Kate’s 3rd child, showing how deeply Germany is interested in the affairs of the the UK and the British Royal Family. She also asked that we take part in a poll on the likely outcome of Brexit, e.g. Hard, Soft or No-Brexit. The Soft option received most votes, followed by Hard and then No-Brexit. Unfortunately, it wasn’t actually explained what hard or soft Brexit actually meant. Panel Discussion One – Where is Great Britain heading? The first panel discussion involved two representatives: Prof. Dr Katrin Kohl and Sir Graham Watson. During the exchanges Katrin Kohl noted that she doubted there would be an Exit from Brexit, while also noting that facts appeared to have been shut out of the debate. There was a tendency in the UK to blame the EU while the UK population itself was already showing signs of being bored with the Brexit debate. She did not see much chance of a 2nd Referendum and while there had been numerous protests and marches in the UK against Brexit it still appeared that Brexit was a “white middle class problem” without deeper resonance in the country. With regard to the Windrush revelations she commented that Theresa May was appearing to be “a PM without a heart”. Sir Graham was equally skeptical about an Exit from Brexit but felt that the situation in the UK was akin to “boiling frogs”, i.e. if the economic situation only gradually gets worse, as seems likely, there will be no mass protest against it although significant damage to the UK could result. He felt that neither Theresa May nor Jeremy Corbyn felt themselves to be European and therefore lacked the passion to campaign a pro-EU position. He felt that it was likely that the UK would need at least 10 years outside the EU until the benefits of EU membership became apparent. He did, however, feel that Germany would be best not to say anything regarding Brexit as this was always negatively reported in the UK press. Panel Discussion Two – What will we do without the British? The second panel discussion involved Dr Katarina Barley MdB, Dr Klaus Günter Deutsch, Thomas Hacker MdB and Dr Rupert Graf Strachwitz. Katarina Barley felt that the potential for chaos after Brexit remained high and with the lack of a plan from the UK it was difficult for the EU to respond. With the clock ticking there remained a huge amount to be addressed. She was also alarmed to find that a comment of hers that maybe the UK should hold a 2nd Referendum had been reported in the UK as “German MP demands UK holds 2nd Referendum”. So she is now very guarded about saying anything. Klaus Günter Deutsch felt the issue of Free Movement of Workers needed addressing urgently and pointed out the huge investments that German companies had made in the UK, and vice versa to a lesser extent, and wondered how these investment could be protected if it was not possible to send German workers to the UK. Trade flows were naturally vital, but as yet there was no clear vision on how this would work, with the UK appearing to have ruled out each model leaving only the most basic Free Trade Agreement. The UK was a vital Research Partner to Germany with many UK Universities leading the way and he hoped that a system allowing Free Movement and cooperation on Research could be agreed. He felt that the UK might find the rest of the world a more hostile environment than thought and wondered if President Trump would actually turn out to be a good friend to British with his “America First” rhetoric. Thomas Hacker contributed least but shared Katarina Barley’s frustration, wondering what it was the UK Government wanted from a future relationship with the EU and Germany. Dr Rupert Graf Strachwitz noted that English might no longer be an official language of the EU, which is questionable as it will remain a working language for most of the small EU nations and was already the working language before the UK joined. He noted how at several European events he had attended, the British delegation were going round from country to country trying to split the EU, while the EU27 remained committed to one common position. He felt that with time running out, it might be for the EU to state how it saw the future relationship with the UK rather than waiting for the UK to state its position and react to this. He regretted that after Brexit the countries least favourable to free-trade would achieve a blocking minority in the EU, something which Germany and Britain together had previously been able to out-vote. He also noted the UK’s important role as the “door” to the Anglo-Saxon world and the ability of the UK to facilitate relations with Australia, New Zealand and Canada. The current position of the USA Administration meant that the USA had also lost its position as a “door”. Rainer Wieland MdEP closed the evening by giving his thoughts. He felt that in the end the UK might return to the EU, “but the way back will be difficult. Probably not paid for in pounds, measured in inches nor driven on the left-hand side”, to much laughter. While the discussions were interesting, I felt, as a member of the audience, that neither had actually been able to answer the question as stated. The major obstacle is that, with barely a few months to go, the plan of the UK Government remains as vague as ever. While the stated positions are “no” to the Single Market and “no” to a Customs Union, these are to be seen in terms of a “Deep and Special” relationship and a “Customs Arrangement”, i.e. all the benefits of both without a commitment to them. And i think it’s fair to say that such a position remains for many an unachievable aspiration. Update: This survey is now closed. Thank-you to those that participated. Why are citizens’ rights not yet resolved? Let Jane Golding explain. Jane is Chair of British in Europe and co-founder of British in Germany (BiG). 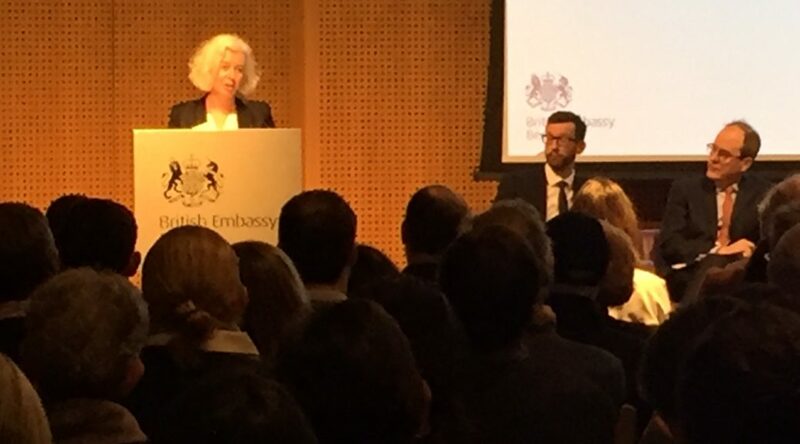 She spoke at a BiG event held at the British Embassy in Berlin on 13 February 2018. The event was hosted by HMA Sir Sebastian Wood. 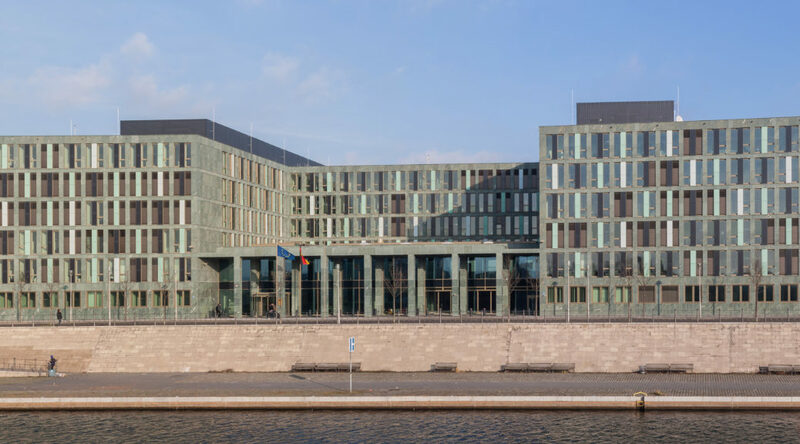 On Monday 18 March, the European Commission published its third draft legal text for the Withdrawal Agreement and announced that it and the UK had reached “complete agreement” on citizens’ rights. You’re probably wondering whether that is in fact the case, and where the March agreement leaves you. This is a quick (and non-exhaustive) general summary of the state of play. It’s a mixture of good news, bad news and unfinished business, the balance of which is different for each of us, depending on the particular situation that we are in. We are still hoping that the unfinished business, such as whether we have free movement across the EU 27, will be discussed in the second phase and we at British in Europe are continuing to campaign hard for that. Our big concern is that it could get lost in the mass of issues now to be discussed such as airline slots. And until the final agreement is signed, none of this is set in stone – although it is unlikely that what has been agreed so far will be changed, if there is no deal then there is no guarantee of our rights. One big change following the draft agreement is that there will – assuming that the final agreement is ratified – be a transition period which will last until 31 December 2020, and that almost all our rights will remain unchanged until then. This is the ‘effective date’ referred to in the paragraphs that follow. This also means that anyone who arrives during this period will be covered by the protections of the Withdrawal Agreement on the same terms as those present before Brexit day itself. If you are ‘legally resident’ on transition day you can stay – but in some countries, you may have to make an application to secure this (see below). This includes people who have moved to the EU27 up to the end of transition on 31 December 2020. The current conditions for a right of residence under EU law will apply unless an EU country decides to require an application to secure status (see below) . For the first 3 months there are no conditions. After 3 months you have to be working/self-employed, self-sufficient, a student or a family member of any such person. People who are self-sufficient or students have to have health insurance (for pensioners or others who hold one, the S1 form is sufficient). After 5 years these conditions fall away and you will either be entitled to ‘permanent residence’ or may have to apply to secure it. The 5 years can include years both before and after the effective date. Anyone with less than 5 years’ residence can build up their years until they reach 5, when they are eligible for permanent residence, under the same conditions as now (see above). If you have acquired permanent residence, you can be away from your host country for 5 years and still retain the right to return and keep your rights of permanent residence. This includes where you have acquired permanent residence before the effective date but are not actually resident in the country on the effective date e.g. because you are on a work posting or studying. Reciprocal healthcare is agreed, so that those who have an S1 or will be eligible for one when they retire will still have their healthcare funded by the UK. For these people this includes a UK issued EHIC which will cover travel across the EU27 and, we believe, to the UK. This means that for those who pay into the national system in their country of residence e.g. a British person working in Germany, the rules will also remain the same as they are now. Aggregation of social security contributions is agreed, both before and after the effective date. Lifetime export of uprated pensions is agreed – so your UK state pension will be increased annually just as it would be if you were living in the UK. There is some agreement on recognition of professional qualifications – if you have an individual recognition decision re your qualification including through automatic recognition e.g. doctors, architects, your qualification will continue to be recognised but only in the country where the decision was issued. If you are a ‘frontier worker’ according to EU rules – living in one country and working in one or more other countries at the effective date – you will still have the right to work in each country. Subject to the next bullet point certain close family members (spouse, civil partner, direct ascendants/descendants who are dependant on you) will be able to join you if your rights are protected under the withdrawal agreement. This will apply for the whole of your lifetime. If you have children after the effective date they also are protected under the withdrawal agreement if you and the other parent are also protected or a national of the country you live in. The present wording excludes children born after transition to parents one of whom (i) is a third country national (ie not an EU or UK citizen covered by the agreement) or (ii) is an EU or UK national not residing in the host state at the end of transition, but British in Europe has challenged whether this omission was intentional. The rights will have direct effect, which means that they are binding and you can rely on the rights set out in the Withdrawal Agreement directly before the courts even if the country where you are living doesn’t apply the provisions of it correctly in national law. Continuing freedom of movement – which includes the ability to move, reside and work in EU27 countries other than our country of residence/frontier working, as well as other rights such as visa-free travel. If the final Withdrawal Agreement does not include a right of free movement across the EU 27 for UK citizens in the EU, there is EU legislation dealing with rights of third country nationals (non-EU citizens) to move within the EU. How this might apply to UK citizens in the EU would have to be agreed but it is fair to say that it doesn’t offer free movement rights, which we have now as EU citizens, and is considerably more limited. And we will also need to see what the future UK-EU agreement says on this point. The right to provide cross-border services as self-employed people. Some professional qualifications e.g. lawyers practising under their home titles and EU-wide licences and certificates are not covered, and recognition of qualifications outside the country of recognition/residence across the EU 27 is unlikely to be discussed further as part of the Withdrawal Agreement. The right to be joined by a future spouse or partner – ie one that you weren’t in a relationship with on the effective date. The right to return to the UK with a non-UK spouse or partner and other family members under the much more favourable EU law regime. Partners who are not married and do not have a civil partnership are not covered as “family members” and have more limited rights under the Withdrawal Agreement unless they have an independent right of residence of their own in the host state. Although this is the same as the position under existing EU law, given the greater scrutiny and bureaucratic barriers which may apply after transition, people in that situation should consider whether to ensure their position as family members now by marriage or a civil partnership. Those whose right of residence at the end of transition is purely as a family member will never obtain e.g. their own family reunification rights. British in Europe has challenged the negotiators to amend the Agreement to clearly exclude from this group those who have resided in their host state for 5 years at the end of transition: the understanding reached in December, which this Agreement is supposed to implement, clearly did so. Ring-fencing of the agreement so far. So should you be happy? It’s reasonable to say that for those who are happily settled in their country of residence, work solely in that country, have retired there or are pre-retired, have no wish or need to move to or work or study in another EU country, fulfil all the requirements for exercising treaty rights (see here) and don’t rely on professional qualifications, then your rights are should be covered. The agreement allows each EU27 state to choose between 2 options for ‘certifying’ our rights after Brexit. EITHER: they can adopt what’s called a declaratory system, which mirrors what happens now and simply confirms the rights that we already hold, whether as permanent residents (5 years or more) or temporary residents (less than 5 years). If an EU country adopts this system, the current system won’t change much but we will be able to apply for a residence document to prove our status. OR: they can adopt a constitutive system. Under this, we would have to APPLY for a new status; the application process would include checks on whether people had been exercising treaty rights, as well as criminality checks. This is the equivalent of the UK proposal for EU citizens of ‘settled status’; the concept of reciprocity has led to this being an option for each EU27 country if they wish to adopt it. The draft Withdrawal Agreement could give the impression that the constitutive system is the default, devoting many paragraphs of detail to it. We have no idea yet whether any EU country will choose to impose this system – though it must remain a possibility given that all EU citizens in the UK will be subject to it. 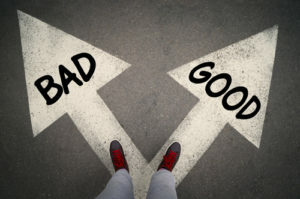 It’s not good news, because (i) it means we would have to apply for a new status instead of having our existing rights confirmed (ii) some people would struggle to find the proof that they meet the statutory requirements of ‘legal residence’ and (iii) as we all know, bureaucracies can make mistakes. This is one of the major objections by British in Europe to this agreement. Another is, of course, the fact that free movement isn’t included. This is a big deal for many people whose livelihoods depend on being able to work in an EU country other than their country of residence and who don’t fall under the definition of a frontier worker. This particularly affects cross-border workers, especially the self-employed. It also matters to our children, who would find their rights to study elsewhere in the EU27 curtailed without it. And it has a big knock-on effect for the territorial scope of professional qualifications and economic rights (e.g. to run a business), which currently would only apply in our host country. In a nutshell, we think the draft agreement has more holes than a piece of French Emmental. We shall be continuing our strong advocacy campaign on all these issues in months to come to ensure that outstanding issues don’t fall off the table. See “current conditions for a right of residence under EU law” above. Who are the Brits in Germany? In 2016 the German Statistical Office recorded around 107,000 registered Brits living in Germany. Since June 2016, that figure has risen sharply. North Rhein-Westphalia had the greatest number of registered Brits (26,205), followed by Bavaria (18,400) then Berlin with 12,355. A 2016 micro-census by the German Statistical Office revealed that 74% of British migrants in Germany have a professional qualification. This makes them some of the most sought-after workers in Germany: only Austrian migrants had higher levels of qualifications (77%). Only 59% of other migrants from Europe, and 63% of the general population, were similarly qualified. This is reflected in British workers’ high average earnings (and, by extension, tax contributions): according to 2016 Statistical Office figures, the average British worker in Germany had a take-home salary of €2820 per month. This compared to a national average of €1958. In fact, British workers had, by a significant margin, the highest average income for workers all national backgrounds in Germany. Households with at least one British member also had an above-average monthly net household income of 3899 euros, or 1962 euros per capita. Brits in Germany are playing an important role in plugging Germany’s shortage of skilled workers: a 2017 report by the Cologne Institute for Economic Research found employers were struggling to fill two in three job openings for qualified positions. Just over half of businesses reported that this negatively affected their productivity, innovation and capacity for growth. Attracting and retaining suitably qualified migrants, the report concluded, will be increasingly crucial to ensuring Germany’s ongoing international competitiveness into the future. Germany could, in fact, be set to benefit even further from British workers in the post-Brexit climate: an international survey by online employment website StepStone found Germany was the stand-out favourite prospective destination for 600,000 highly-skilled British workers and experts who are actively planning to emigrate to another EU country. 44% saw it as their first choice, meaning that 264,000 specialists are considering a move to Germany. “Brexit thus has the potential to alleviate Germany’s skilled worker shortage,” commented Dr. Sebastian Dettmers, managing director of StepStone.de. The overwhelming majority of Brits in Germany are of working age. Data from foreign registrations reveals that only 16% of Brits were aged over 65. This is in line with British in Europe estimates for British across the EU. Contrary to common misconceptions, only a minority of Brits living abroad are pensioners. The average age for British citizens in Germany was 46.6, according to the same data source. Registration office records also show that the average British citizen has been living in Germany for 20.3 years. Around 15% are married to a German, with many more undocumented partnerships. Micro-census data records Brits as working across a wide range of economic sectors. 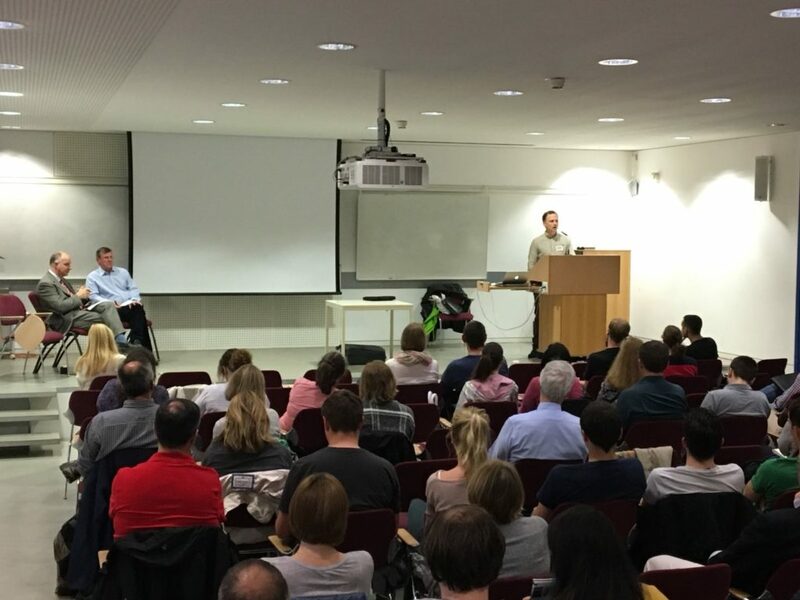 British in Germany members have the most diverse careers imaginable, from documentary film makers and journalists to lawyers to kindergarten educators. 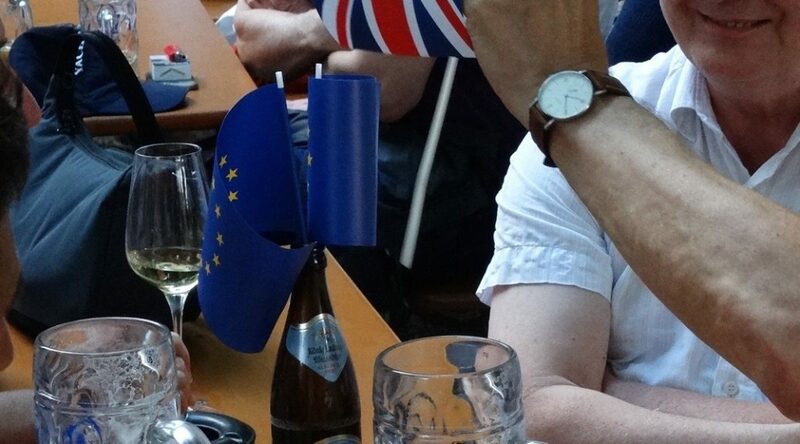 See here for more case studies of Brits in Germany and across the EU. The British presence in Germany is not only felt through migration: recent figures from the Statistical Office show that Britain is one of Germany’s most important trade partners. In 2016, 121.6 billion euros of goods were traded between the two countries. Only China, France, the USA and the Netherlands were of greater significance. 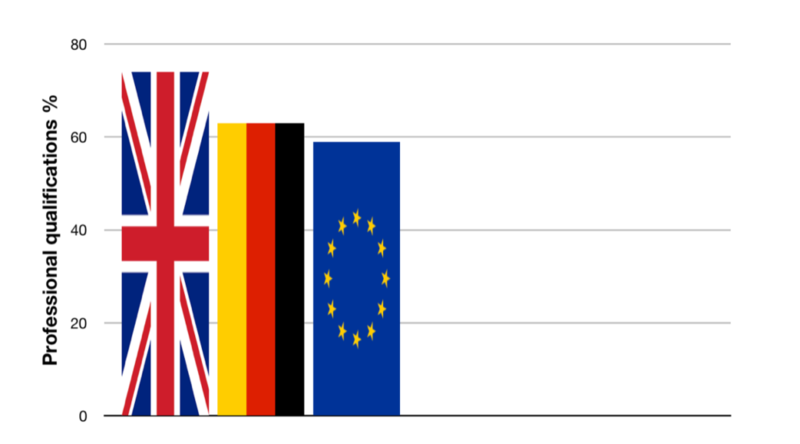 Germany exported much more to the UK (€86.1bn) than it imported (€35.6bn). Click here for further statistics on British citizens in the EU from our coalition umbrella body, British in Europe. Plenty of questions – any answers? 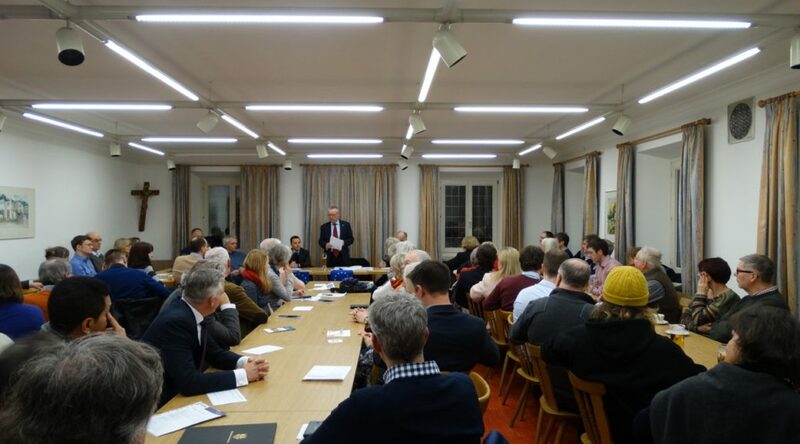 British in Germany’s Bavaria group ‘British in Bavaria’ hosted a lively discussion evening with two representatives from HM government on 27 February. David Hole delivered a sober analysis of where we are now and HM Consul-General Paul Heardman and Tim Jones from the British Embassy in Berlin fielded questions from the floor. HM Consul-General Paul Heardman and Tim Jones, British Embassy, Berlin. More than 80 UK Nationals turned up to the Kolpinghaus in Munich to hear the talks from representatives of HMG on citizens’ rights and to participate in the discussion. I introduced the topic with a brief review of the stage reached so far. Tim Jones then spoke for HMG. He had initially expected a decision on citizens’ rights by September/October last year. In fact it took until December and there are still some questions open. Both sides are conscious of the huge value that EU and British citizens have contributed to the countries where they reside. To achieve agreement on their rights remains the highest priority. Economic activity is not considered to be a citizens’ rights issue, but a question for phase II of the negotiations. The Prime Minister is to deliver a major speech on Friday, 2nd. March on the UK’s vision on how this phase is to go forward. The British Ambassador from Germany was present at Chequers when this was discussed in cabinet. There are two agreements: the withdrawal agreement, which should not be as difficult as may seem, requiring a qualified majority on the EU side. This should be in place by October and include citizens’ rights. Then there is the question of how transition may work. UK would wish existing trade agreements to remain in force for the length of transition. It is recognised that organising an election to the European Parliament would present great difficulty, if the UK had not departed the EU formally by March 2019. The legal text of the points agreed in the technical notes for Phase I should be available to-morrow (Wednesday, 28th. February). The question of freedom of movement (FoM) is still open. HMG will continue to raise this. There will be a continuing engagement procedure with British citizens. HMG is aware of and supports British in Germany. There remains a need to reach individual citizens to ensure we are prepared for it. The question and discussion part was opened. In reply to the question on where the information and observations generated this evening would go, it was stated that this goes to the Foreign Office and to the Dept. for Exiting the EU. There was scepticism expressed at the benefit of this, although there was an assurance that this is faithfully reported. The UK does not require its citizens to relinquish British citizenship if another citizenship is taken. Control of immigration into the UK is a matter that requires a more developed policy. Some form of registration is going to be necessary. A broad range of issues was covered in the questions, but the most pressing points were the loss/retention of British citzenship on naturalisation in Germany and the loss of the right to vote in the UK. This latter point continues to engender considerable anger, which became ever more apparent as the evening progressed. It was stressed that, as long as the UK is a member state of the EU, i.e until March 2019, those granted German citizenship by that date will be entitled to retain their British citizenship as well. Once dual citizenship is acquired, there will be no later requirement to choose between them. This is also confirmed by the German authorities. There was assurance that pensions would continue to be uprated, and that state pension contributions would continue to be aggregated. However, it also emerged that the question of private pension has not yet been addressed, it being regarded as economic activity. Where payments are made into a private pension scheme in the UK, it is intended that this should continue to be possible. There are no plans for a second referendum. This of itself would require an Act of Parliament. The Private Member’s Bill on votes for life currently before Parliament has just passed its second reading and proceeds to committee stage. There is no firm indication as to whether this will be passed into law or when. The question of the Irish border after Brexit was raised and proved to be as intractable in the discussion that followed as it has been on every other occasion it has been raised. The evening ended in something of an acrimonious atmosphere, as anger at disenfranchisement and the uncertainty for the future position escalated. From my subjective assessment, this comes partly too from the disappointment of the hopes that people have that HMG will say something positive on what is to be done on citizens’ rights. The position of HMG on this question, together with the position it takes on settled status for EU citizens in the UK, does not make any improvement in the situation likely.